… it wasn’t popular. And that was in the 1930s. Thanks for the site link, Jennifer! What’s your name’s trend? 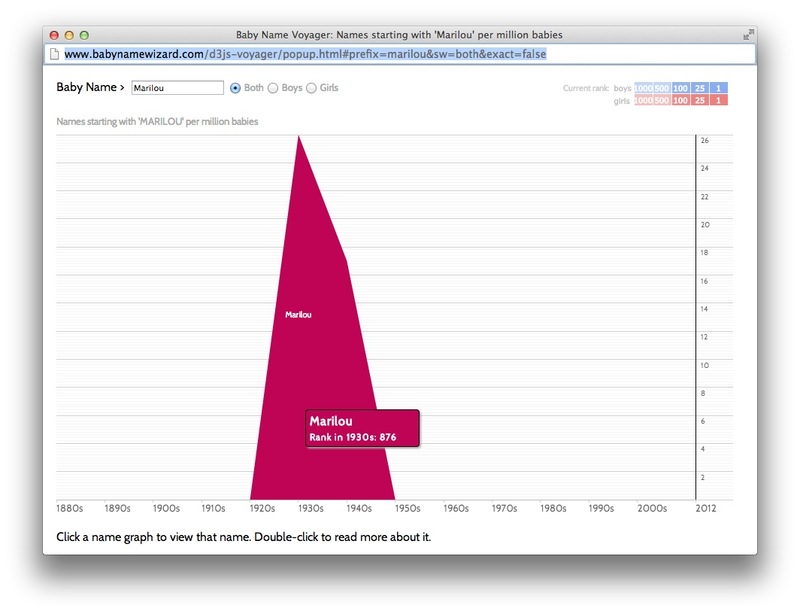 Check it at the Baby Name Wizard – Voyager. Post your link in the comments! And both of my last names have been bungled. So I feel your pain. I like it, too, Maureen!